A slow internet connection can be tortuous. But if you’re limited by your service provider’s speed what options do you have for a better browsing experience? Channel bonding may be the answer. Your internet speed is typically limited by your area. Your service provider will need to deploy the necessary infrastructure to where your home or business is. This is why providers offer a coverage map How to Find the Best-Rated Internet Service Provider Near You How to Find the Best-Rated Internet Service Provider Near You Searching for a new internet service provider or worried that your phone won't have reception after you move? This site lays out important statistics about internet service all over the U.S. Read More to let you know what service they’re able to provide. If you absolutely require more bandwidth than your provider offers on a single connection you will need an additional internet connection. This could be from the same provider using the same technology, or a different provider with a different technology. Many companies offer this and it does have its uses. 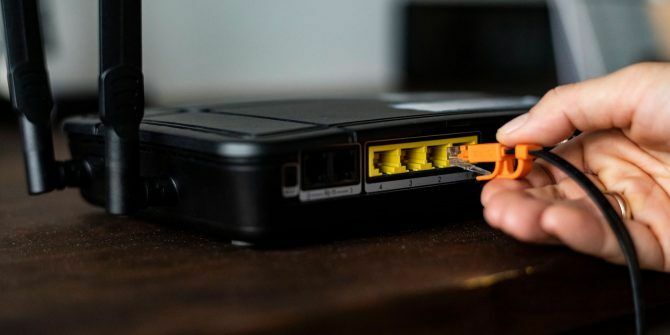 In the event that one provider’s connection fails there is a backup connection which all internet traffic will be routed to. This is termed “failover”. Failover, however, won’t help to increase your internet speeds. For that, you need load balancing or channel bonding. Both load balancing and channel bonding have different use cases, costs, and caveats attached to them. Ultimately it comes down to how internet traffic is routed on your network. Let’s take a look at a high-level overview of an internet request. For the web page that you’re currently reading to be loaded, your computer and browser connect to a server which delivers the necessary files. For this analogy, try to imagine your internet connection like a set of pipes. The various components of this web page like text and images are delivered (as a packet of data) over a socket. Think of the socket as a pipe for information which extends from the server to you. If the socket is a pipe, then the packets are the liquid flowing through it. For example, the image that you see above was first broken into many individual packets and delivered through a socket. It was then reassembled by your web browser. Load balancing is the approach which internet traffic is split among two or more internet providers. In order to implement load balancing, you will need a router that is capable of multiple WAN connections. An example of one of these implementations is the Ubiquiti USG and the UniFi Controller. 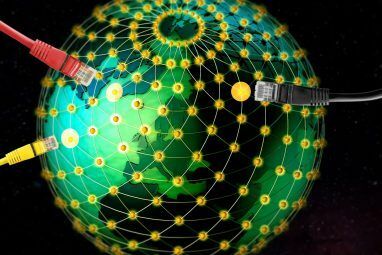 Each internet connection could be from a different provider or even different technology. For example, you could have the router connected to a fiber network and an LTE network simultaneously. Other than the costs, a client device is still limited to a single network connection at a time. In the diagram above the network has access to two 5Mbps internet connections. If a single user wanted to stream a movie that required 8Mbps per second, load balancing will not be able to help. This is because a movie stream requires a large single-socket transfer or pipe to deliver a movie from a server to you. Channel bonding splits your web traffic at the packet level among multiple internet connections. This means that channel bonding will be effective even for the user trying to stream a large movie because traffic is split at a low level. While load balancing splits your network traffic, channel bonding effectively combines many different internet connections into one. To make this happen your internet traffic needs to be split and stitched back together again. There are both hardware and software options for channel bonding. Hardware options will be required if you’d like your entire network to take advantage of channel bonding. A company like Shareband #will provide you with a device in which you plug in multiple internet connections. Your data is securely sent to this company over your multiple internet connections where it is processed and sent back to you. Hardware options will still require a subscription as the company is using their servers to split and stitch your internet traffic for you. One of the use cases here is that a fiber connection to your home may cost a significant amount of money. To get around this you could use two cheaper ADSL connections to your home and channel bond them together. The cost of a channel bonding subscription plus two ADSL connections might still be less than a single leased fiber line, but your mileage may vary. Fortunately, you may already have a device that is capable of having multiple simultaneous internet connections, in the form of a smartphone. 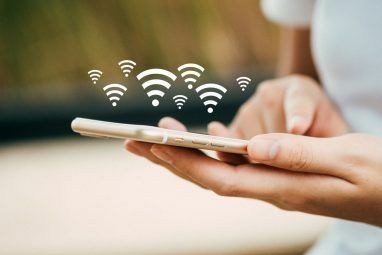 Using software you can channel bond your Wi-Fi and LTE connections. One such app is Speedify. Speedify is essentially a VPN but as its name suggests it can help speed up your internet experience using channel bonding. Speedify has apps available for Windows, macOS, iOS, and Android. It lets you use all available Wi-Fi, 3G, 4G, and wired connections at the same time to speed up your internet experience. To get an idea of how effective said solution may be, you can run three speed tests. One using Wi-Fi only, one using LTE only, and one using Speedify’s channel bonding, which will combine both. The speed test results above show a great improvement when the connections are bonded together. From this simple test, we can see how beneficial channel bonding can be for a faster browsing experience. Speedify also offers a free tier where they will optimize the first 5GB free per month. Having the Speedify app on your smart device won’t help any other devices on your network. 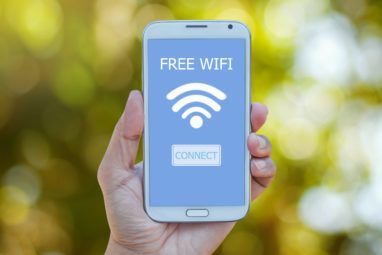 Fortunately, the company that makes Speedify also publish an app called Connectify Create Your Own Wi-Fi Hotspot With Connectify Create Your Own Wi-Fi Hotspot With Connectify Connectify turns your laptop into a personal wireless hotspot. Windows makes this possible, but makes you disconnect from Wi-Fi and connect with a wired connection to do it. We're giving away a whopping 25 Connectify Pro... Read More . Connectify turns a Windows machine into a virtual router which can share its internet connection. With a little bit of configuration, you could use a Windows machine to channel bond an Ethernet and a 4G internet connection (using a dongle). You could then use Connectify to share that bonded connection with the rest of your network. Remember that mobile data can be expensive, so be sure to use the limit feature on Speedify to make sure you don’t get handed an extortionate bill. What to Do If You Can’t Channel Bond? If channel bonding, or a faster internet connection isn’t available to you there’s still may be options. Ubiquiti’s UniFi allows you to set download and upload limits on both groups and users. This can help shape your internet connection and provide a better browsing experience for your network. Other systems such as AmpliFi have a feature called Quality of Service or QoS. Be sure to check out your router’s settings to see if it supports QoS if your network is highly congested. Channel bonding does come with cost implications does require processing in order to combine both channels. However, channel bonding can provide you and your network a much needed internet speed improvement when other methods won’t. Want faster internet but can’t afford channel bonding? Try adjusting your DNS settings for faster internet speeds Why Changing DNS Settings Increases Your Internet Speed Why Changing DNS Settings Increases Your Internet Speed Changing your DNS settings is one of those minor tweaks that can have big returns on day-to-day internet speeds. Read More . Explore more about: Channel Bonding, Internet. What Is Data Corruption? How to Fix a Corrupted Hard DriveCapacitive vs. Resistive Touchscreens: What Are the Differences? thank you for sharing usefull thing! does external graphics work with internal graphics.....? My laptop has 8gb of gtx 1060 internal graphics if i install a 8gb of gtx 1080 externally .will it deliver power of 8×(gtx(1060+1080)) simultaneously. ......?